by Lifeboat Foundation Scientific Advisory Board member James Gardner. 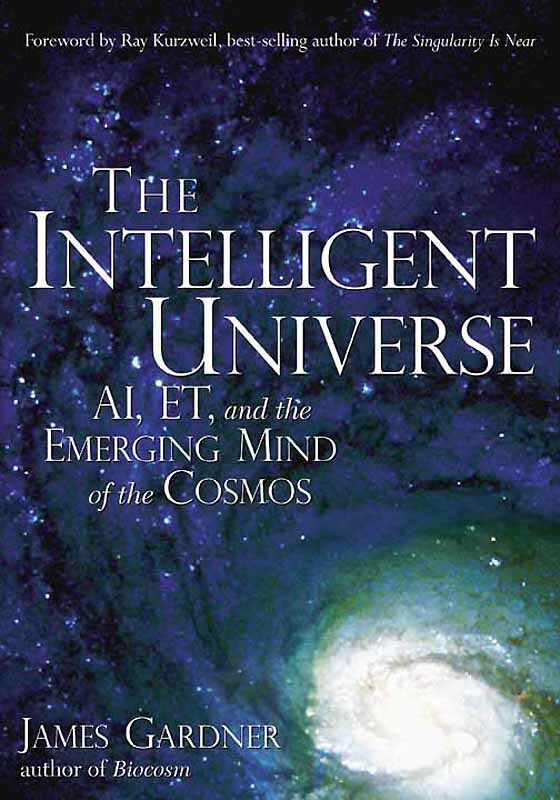 The following text is the introduction from The Intelligent Universe, reprinted with permission of the publisher. There is a time machine clearly visible right outside your front door. It’s easy to see  in fact, it’s impossible to overlook  although its awesome powers are generally ignored by all but a discerning few. The unearthly beauty, the ineffable grandeur, and the ingenuity of construction of this time machine are humbling to every human being who makes an effort to probe into the enigma of its origin and the mystery of its ultimate destiny. The time machine of which I speak is emphatically not of human origin. Indeed, a few venturesome scientists are beginning to entertain a truly incredible possibility: that this device is an artifact bequeathed to us by a supreme intelligence that existed long, long ago and far, far away. All knowledgeable observers agree that the scope of its stupendous powers and the sheer delicacy of its miniscule moving parts seem nothing short of miraculous. A second amazing but incontrovertible fact confronts those trained in the science of cosmology: We human beings are living our daily lives in the midst of extraterrestrial entities. These entities are everywhere  in the air we breathe, in the food we eat, in the ground beneath our feet, and inside our bodies. These extraterrestrials have made an incredible journey from the venue of their birth to reach planet Earth. Their epic migration, spanning millions of light-years, dwarfs the fictional interstellar voyages of the starship Enterprise. They are the real star trekkers, with more mileage on their odometers than we are capable of imagining. And perhaps most astonishing, we could not possibly survive without their constant presence, and the unfailing exercise of their special powers. 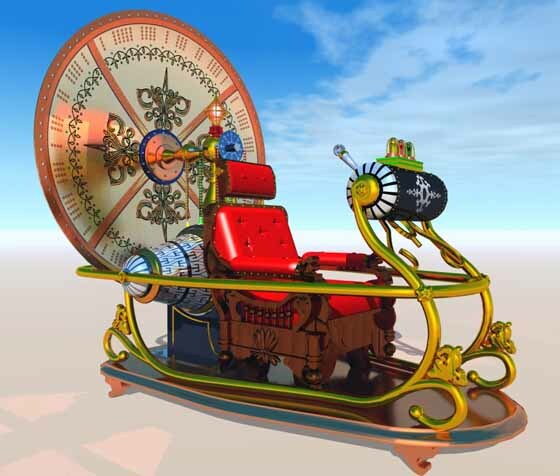 The time machine is the universe itself. We see its local features every night in the starry sky above us. The firmament we observe is not a picture of the stars and galaxies as they exist today, but rather a kind of cinematic image of our corner of the cosmos as it existed years ago  in the case of the great galaxy Andromeda, millions of years ago. Because starlight travels through the immensity of interstellar and intergalactic space at a finite pace, and because of the inconceivable vastness of the cosmos, we look backward in time with every glance at the nighttime sky. With powerful spectacles to aid our vision  massive instruments such as the telescopes that dot the peak of Mauna Kea in Hawaii and the Hubble Space Telescope  we can extend our gaze incredibly far back into the past, indeed virtually to the moment of the Big Bang. And with even more sophisticated observational instruments, such as the Advanced Laser Interferometer Gravitational-Wave Observatory (LIGO) and the space-based Big Bang Observer (BBO) that NASA hopes to deploy by 2025, there is hope that we will be able to glimpse the moment of cosmic creation itself  the very genesis of space and time. What about those extraterrestrials? They are the atoms that combine to form the molecules from which our bodies and virtually everything else in our world and the solar system are made. These extraterrestrials were not, for the most part, born ex nihilo in the fireball of the Big Bang. Instead, they were hammered into existence in the forges of supernova explosions  rare conflagrations that release more energy in a flash than the normal output of the billions of ordinary stars in a typical galaxy. Hoyle’s remark is the inspiration for The Intelligent Universe. The book is the story of an idea, and the idea is quite simple: The best way to think about life, intelligence, and the universe is that they are not separate things, but are different aspects of a single phenomenon. To take liberties with a popular ballad, “We are the world, we are the people, and we are the universe.” To state this proposition from the opposite perspective, the universe is coming to life and waking up through the processes of our lives and thoughts, and, very probably, through the lives and thoughts of countless other beings scattered throughout the cosmos. One startling implication of this idea is that the true story of the origin of the human species is longer than the saga of terrestrial evolution conceived of by Charles Darwin and his intellectual progeny. Thanks to the discoveries of Hoyle and other cosmologists, it is now beyond dispute that the life history of humanity includes the entire history of the cosmos itself. Why? Because an inconceivably ancient and immense universe is needed to create even one species of minuscule living creatures on a single planet orbiting a nondescript star in the outer reaches of an ordinary galaxy. In Life Itself: Its Origin and Nature2 Nobel laureate Francis Crick, co-discoverer of the double helix structure of DNA, put forward a hypothesis about the origin of life on Earth that many of his scientific colleagues viewed as outlandish, even scandalous. The essence of Crick’s scenario was that, contrary to Darwin’s speculation that the first living things may have emerged spontaneously in a warm little pond, terrestrial life was deliberately seeded by an advanced alien race billions of years ago. Crick’s ideas built on those of Swedish physicist Svante August Arrhenius, who suggested in the late 19th century that life did not get started on Earth, but was seeded by microorganisms drifting in from outer space under the gentle pressure of ambient starlight. A perceived weakness of Arrhenius’s theory  called simply panspermia, which translates literally as seeds everywhere  was that it was thought unlikely that spores or microorganisms could survive the harsh radiation of space for the decades, centuries, or even millennia that would be required for bacteria to slowly waft from even the nearest stars to our solar system. I am asserting that wherever and however life and intelligence may exist elsewhere in the cosmos, it will have originated and evolved from a universally shared substrate: the chemical elements of the periodic table and the basic forces and parameters of physics. As far as anyone can tell, these elements, forces, and parameters appear invariant throughout the visible universe. They can be thought of as a kind of “deep DNA”  a universal genetic code inscribed far below the level of terrestrial genomes. At this fundamental level, everyone and everything that exists in the universe, whether animate or inanimate, is intimately related. And because all of this living and not-yet-living stuff owes its ultimate origin to a common genesis event (the Big Bang), we are all related in a family way. With apologies to Saint Francis of Assisi, we can confidently state that Earth’s satellite truly is Sister Moon, and that the life-giving star 93 million miles away is genuinely Brother Sun. A third implication of the concept is that because the vast preponderance of the lifetime of the universe lies in the distant future rather than in the past, the historical achievements of life and mind are meager foreshadowings of the starring role that intelligent life is likely to play in shaping the future of the cosmos. Indeed, this new way of looking at the intimate linkage of life, mind, and the cosmos suggests a novel way of thinking about the ultimate destiny of our universe. 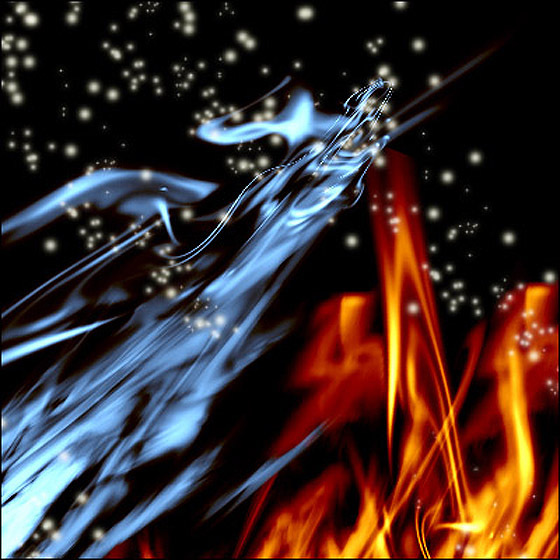 Most scientists believe the universe will end in ice or fire. Traditionally, scientists have offered two bleak answers to the profound issue of how the universe will end: fire or ice. The cosmos might end in fire  a cataclysmic Big Crunch in which galaxies, planets, and any life forms that might have endured to the end time are consumed in a raging inferno as the universe contracts in a kind of Big Bang, but in reverse. Or the universe might end in ice  a ceaseless expansion of the fabric of spacetime in which the thin soup of matter and energy is eternally diluted and cooled. Under this scenario, stars wither and die, constellations of cold matter recede further and further from one another, and the vast project of cosmic evolution simply fades into quiet and endless oblivion. My first book, Biocosm,7 was one long argument that the cosmos possesses a utility function (some value or outcome that is being maximized) and that the specific utility function of our cosmos is propagation of baby universes exhibiting the same life-friendly physical qualities as their parent-universe. Under this scenario, the mission of sufficiently evolved intelligent life in the universe is essentially to serve as a cosmic reproductive organ, spawning an endless succession of life-friendly offspring that are themselves endowed with the same reproductive capacities as their predecessors. The fact that our universe seems queerly hospitable to carbon-based intelligent life  an astronomically improbable oddity that many leading scientists have identified as the deepest mystery in all of science  emerges in the context of this hypothesis as a predictable outcome (a falsifiable retrodiction, in the jargon of science). Traditionally, scientists insist that new hypotheses generate falsifiable predictions of experimental results in order to qualify as genuine science. However, there are some fields of science  especially archaeology and cosmology, which involve events that occurred in the distant past or in physically inaccessible regions  that cannot generate predictions susceptible to laboratory testing. Although a few purists regard these fields as intrinsically unscientific, most scientists concede that it is appropriate for so-called “historical” sciences, such as geology, evolutionary biology, cosmology, paleontology, and archaeology to rely on retrodiction as an alternate means of testing a scientific hypothesis. A retrodiction essentially compares previously gathered observational evidence (for instance, the fossil record, in the case of evolutionary biology) with the implications of a scientific hypothesis (such as Darwinian natural selection). If the observational evidence agrees with the implications of the hypothesis, the hypothesis is said to retrodict the evidence. Though The Intelligent Universe reprises some of the key themes of Biocosm, its primary objective is different. Unlike Biocosm, the purpose of this book is not to lay out a scientific hypothesis but rather to tell an extraordinary story  the story of the probable future of the universe. In telling this story, I am going to introduce you to some very unusual and interesting people. You will also meet a fascinating cast of nonhuman players likely to have leading roles on tomorrow’s cosmic stage. They include: (1) super-smart machines capable of out-thinking humans without breaking a sweat; (2) speedy and cost-efficient interstellar probes that will consist of nothing more substantial than elaborate software algorithms capable of “living” in the innards of alien computers they may encounter on far-off planets; and (3) intelligent extraterrestrials, which SETI researchers have not yet discovered but whose probable existence is strongly predicted by my Biocosm hypothesis. The Intelligent Universe, then, is a kind of projected travelogue  an imagined future history  of the cosmic journey that lies ahead. The foundation for that projection is a vision of the deep linkage between the three ostensibly separate phenomena previously mentioned: the appearance of life, the emergence of intelligence, and the seemingly mindless physical evolution of the cosmos. In discussing these topics, the book will not only provide news dispatches from the frontiers of cosmological science, but also offer musings about the philosophical implications of emerging scientific insights for our self-image as a species. In the spirit of Galileo, I invite you to gaze into this grand book  I mean our cosmos  and begin to learn the language and the characters in which it is written. As we shall see, the grand book is not only a tale of the past, but also a story about our tomorrows. Above all, it is a book that, carefully deciphered, foretells the incredible journey that intelligent life will make across the vast expanse of the cosmic future and the projected consummation of that voyage  the emergence of the biocosm. Hoyle, Fred. The Universe: Past and Present Reflections. Engineering & Science magazine (November, 1981): 8–12, quoted in Owen Gingerich, “Foreword” to Simon Mitton, Conflict in the Cosmos: Fred Hoyle’s Life in Science. Washington, D.C.: Joseph Henry Press, 2005: xi. Crick, Francis. Life Itself: Its Origin and Nature. New York: Simon & Schuster, 1981. Dyson, Infinite in All Directions. New York: Harper Perennial Library, 1988; 118. Gardner, James. Biocosm  The New Scientific Theory of Evolution: Intelligent Life Is the Architect of the Universe. Makawao, Maui, Hawaii: Inner Ocean Publishing, 2003.